If you’re getting married this summer, you certainly already have your dress. Otherwise as i’m still looking for one (I’m getting married in October! ), I’m sharing this in-depth study (!) of the 2016 stylish bride ! So if you like satin, it could be nice to have some lace straps or a lace veil. Very simple: a lace bustier on a tulle skirt ! A regular fitted dress down to the knees, and a different fabric (usually tulle) with a flared effect from knees to toes. This dress is Chanel, and I love it. Poppy Delevingne wore it for her wedding… and Blake Lively as a regular cocktail dress. I love how the fabric is very thick on top and so light around the legs. I think it is quite similar to the mermaid trend above. The vintage dress: not so trendy anymore ? The 1920s are amazing when it comes to a lot of things, and of course the outfits. 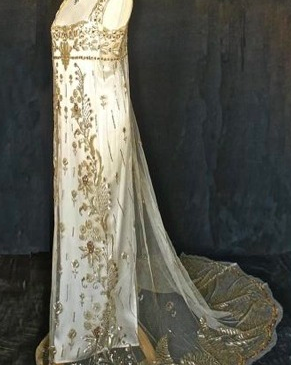 I love 1920s dresses and I was seriously thinking of wearing one for my wedding. The only thing is, I’m concerned that the 1920s vintage trend could be completely outdated in a few years, and it might end up looking like I was going to a fancy-dress party on wedding photos. So I think I should go for a more obvious wedding dress, or find a 1920s dress that really looks like a wedding dress… or wear a 1920s dress for the Sunday brunch only. A mix of it all ? 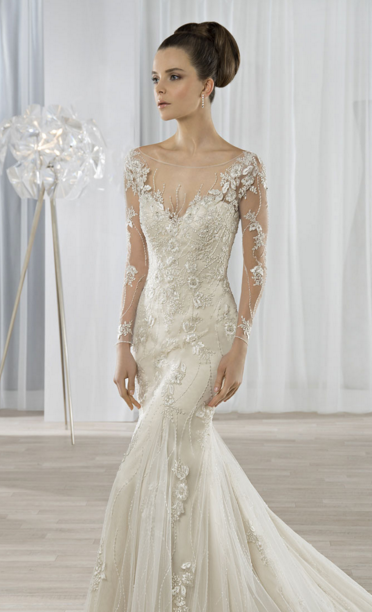 The ideal for me would definitely be a mix of all that: A mermaid shape with different fabrics on top and bottom, some lace, a heart-shaped bustier, and some vintage twist to it, like sewn beads. I hopefully will find it ?